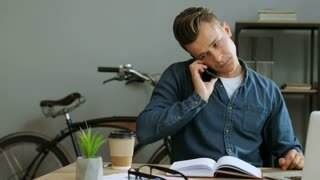 Serious young business man in the glasses working in the office using laptop at the evening, start talking on cell phone. 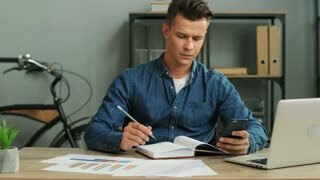 Portrait of serious young business man in the glasses working in the modern office using his laptop while talking on the smart phone. 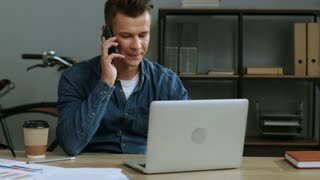 Attractive young business man in the glasses working in the modern office using his laptop while talking on the smart phone with partner.